Home Gadgets The best Smartwatches money can buy! The best Smartwatches money can buy! The ultimate smartphone accessory is undoubtedly the smartwatch. Besides telling time, of course, it can run native applications as well as beam important notifications directly to your wrist. What is additionally so much more impressive is that a lot of the best models today also have the ability to perform several tricks. Some of these include using GPS to track your exercise, enabling voice-activated internet searches and allowing you to pay for goods without you having to reach for your pocket or wallet. 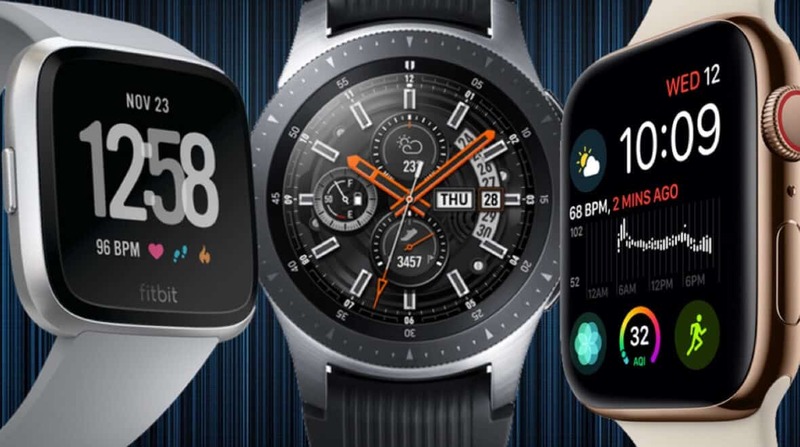 As usual, we had to give you a small idea of the best smartwatches 2019 and what you should really be considering this year. A lot of what we’ll list down here was technically released during the year 2018, so we believe as we go further into this year and towards the end, this list will probably look very different. However, for now, this is what we’ve got for you so far. This has been considered by many as being one of the most fully-featured smartphone accessories seen thus far. The Apple Watch 4 is superior to everything else currently found in the market when it comes to its broad feature set, performance and hardware. Not forgetting the established strap ecosystem and accessory that now supports it. 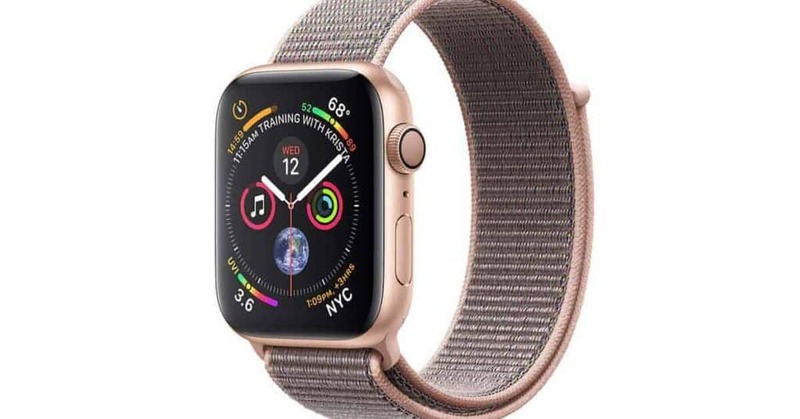 Other stand out features include its swim tracking and water resistance capability, Bluetooth, LTE and GPS features, fall detection, a near bezel-free display as well as advanced heart-rate tracking accompanied by an ECG functionality. Oh, lest we forget, its sheer beauty. Apple almost always gets it dead on in the aesthetics department. The second spot goes to the Samsung Galaxy smartwatch. Many thought Samsung would’ve dubbed this product the Gear S4 but they chose to go with Galaxy Watch instead. Anyway, continuing on from where the Gear S3 line left off, the new Galaxy Watch comes in and has been greatly improved at that. A remaining highlight is its rotating bezel which is used to navigate through the watches Tizen OS. The interface also happens to be very easy to pick up which is a major plus for the watch. 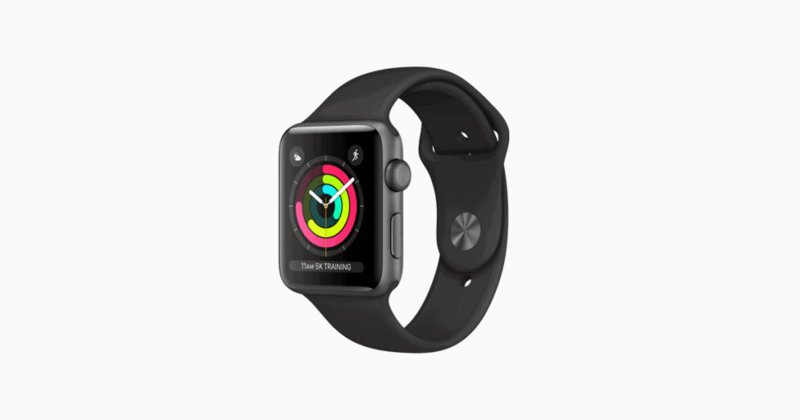 The applications found on the smartwatch are more limited than WatchOS 4 or Wear OS, however, it has still managed to offer the core basics. With this smartwatch, Samsung has managed to provide a product that’s not only good for fitness but also has a lot more functionality as well as an aesthetically pleasing design too. One of fitness tracking tech’s biggest name is Fitbit. However, it’s only until about the year 2017 is when the company decided to dive into smartwatch developing and manufacturing. Since then the company has managed the release of two fantastic smartwatch products, one of which is featured on this list of ours. The one we’re talking about is the Versa, which also happens to be a tad bit smaller than its predecessor. It comes with 2.5GB of storage, FitBit Pay designed for contactless payments and a battery life that can last you about three days on a full charge. Unfortunately, it lacks GPS tracking for your runs and its overall design does not feel as sleek and premium compared to most of its other competitors on this list. The FitBit was also featured in our Top 10 Cool Tech Gadgets In 2018. If you’re looking for an exquisite looking watch that can also double up as a functional smartwatch then look no further than the Huawei Watch 2. Huawei seems to have come into its own in the smartwatch realm. All this made possible thanks to its rear heart rate monitor alongside its built-in GPS feature. Your Google Play Music can be stored in its in-built 4GB storage and headphones can be paired via Bluetooth giving you a phone-free experience. 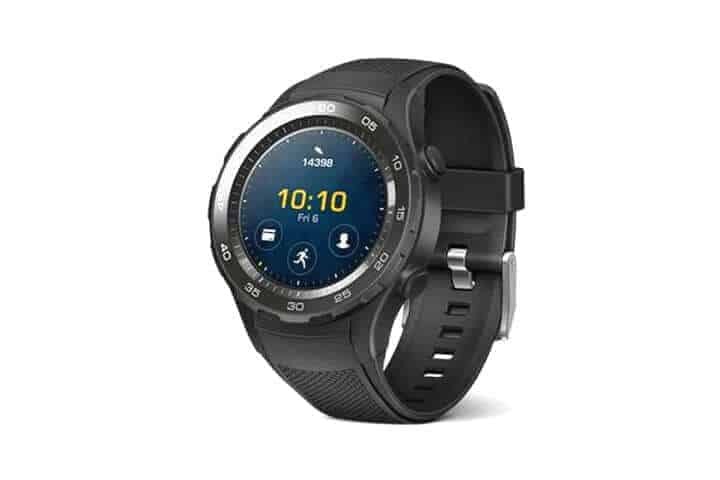 This smartwatch is compatible with Google Fit, a host of Huawei’s very own fitness applications as well as any other 3rd party applications, the likes of Strava and them, offering excellent choices. For its price, this smartphone accessory happens to be a very good prospect. 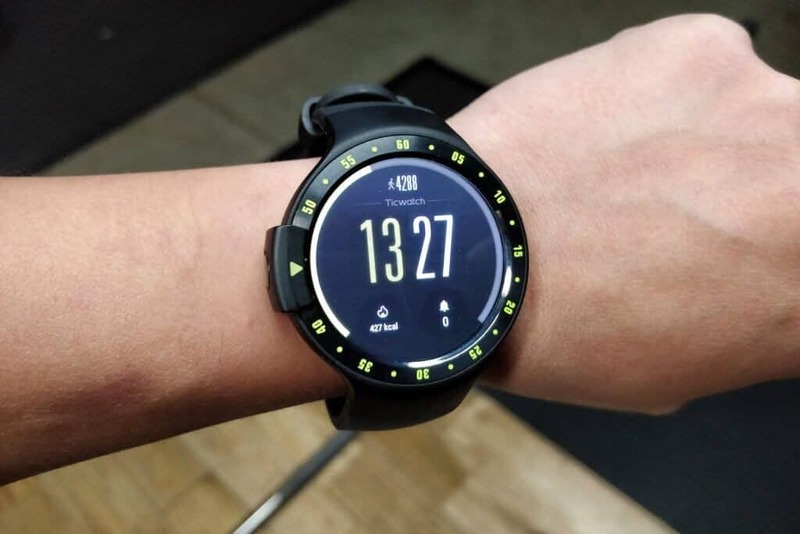 The Ticwatch S manufactured by Mobvoi, a company started by ex-Google workers, might just be one of the smartwatches that has the best value for money currently available on the market. It is the sportiest of all the watches in Mobvoi’s current line-up, sitting beside the Ticwatch E which is more fashion-focused. It provides the user with several great features. A few highlights include an extremely sharp 1.40inch OLED screen display, surprisingly smooth performance levels and a fairly slim-line, comfortable overall design. 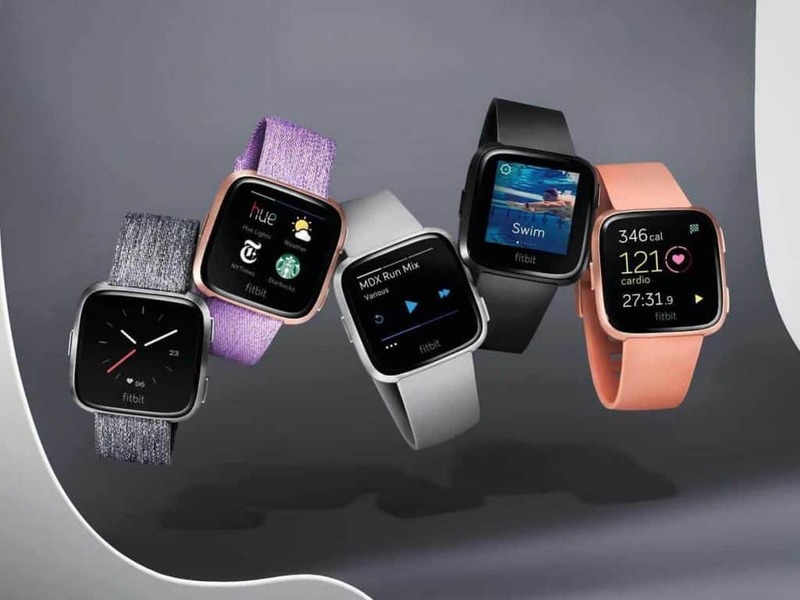 The inclusion of a heart-rate monitor, GPS as well as the fact that it runs Wear OS by Google means that it can also act as an entry-level fitness tracker or running watch. For its price, that’s pretty darned impressive. The final spot on our best smartwatches 2019 list goes to the Apple Watch 3. It reigned supreme for the better part of 2018 but things have changed this year. Bigger and better options have arrived. With that said, for now, it still makes the cut onto our list. Its overall frame is similar to that of the Apple Watch 2 with the only difference being some new innards. In fact, come to think of it, those new innards actually make for a very big difference. Oh, and the fact that it now costs a lot cheaper as compared to when it was first released makes it a much more attractive option. Truth is, that’s largely why it was able to make the cut. But, don’t get it twisted, it’s still a very good smartwatch product. With the new year comes fresh new Gadget Gang content as well. We want you to know what’s best for you before buying it. That’s largely why we’re here by the way. You don’t have to be in the dark with anything gadget related anymore. Join the Gang so that we can always keep you posted. As always, we got you. Next articleWhy the BitMart Exchange is the Future of Cryptocurrency Trading!